Warm water immersion may offer more benefits than previously realized, including improved brain and kidney functions. Referring to past study results, researchers at NASMI suggest that hot tub therapy, with immersion up to the shoulders or neck, increases blood circulation to the brain. Researchers believe that the effect of increased blood flow to the brain could result in increased cognitive function. In other words, you may just be a little smarter while soaking in your hot tub. Warm water immersion may also help with recovery after traumatic head and brain injuries and it could prove to be an effective therapy for those who have experienced strokes or other cognitive damaging conditions. There is also some evidence that suggests that immersion in hot tubs can positively affect kidney function. During warm water immersion renal function can become more efficient and edemas can be reduced when they are present (Becker et al.). This could be great news for those experiencing reduced kidney function due to any of several medical conditions. This is part 6 of a 7 part series. 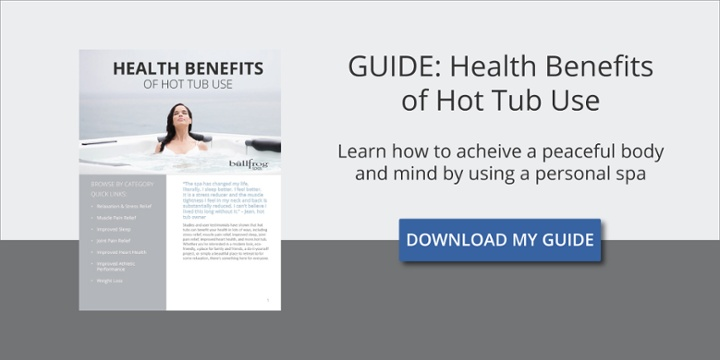 Part 7 summarizes the health benefits of hot tub therapy.